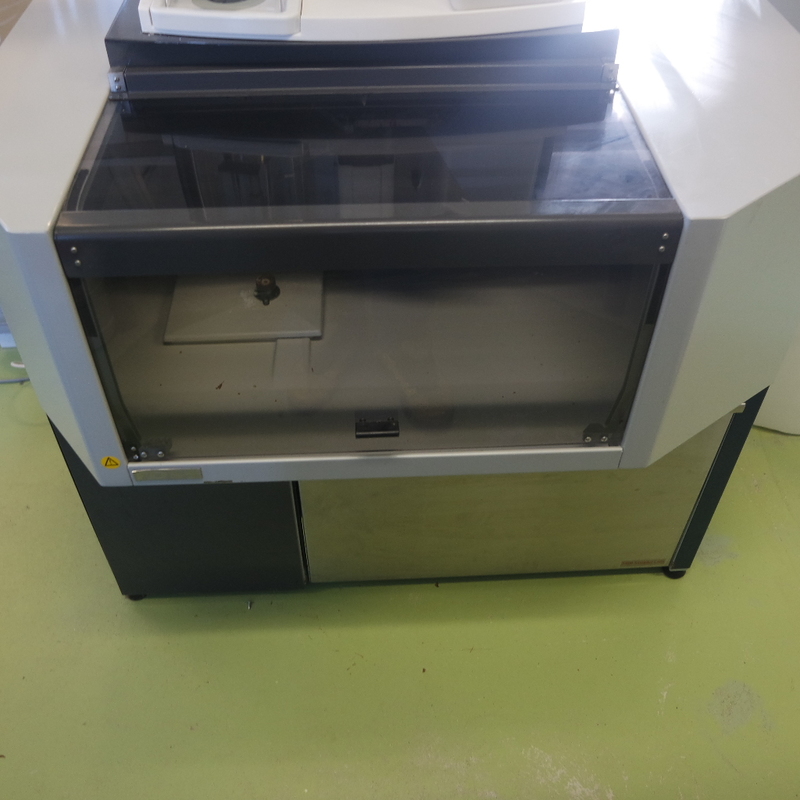 This used automated Kjeldahl analyzer, Foss tecator KjelTec 2400/2460 KT has recently been acquired. 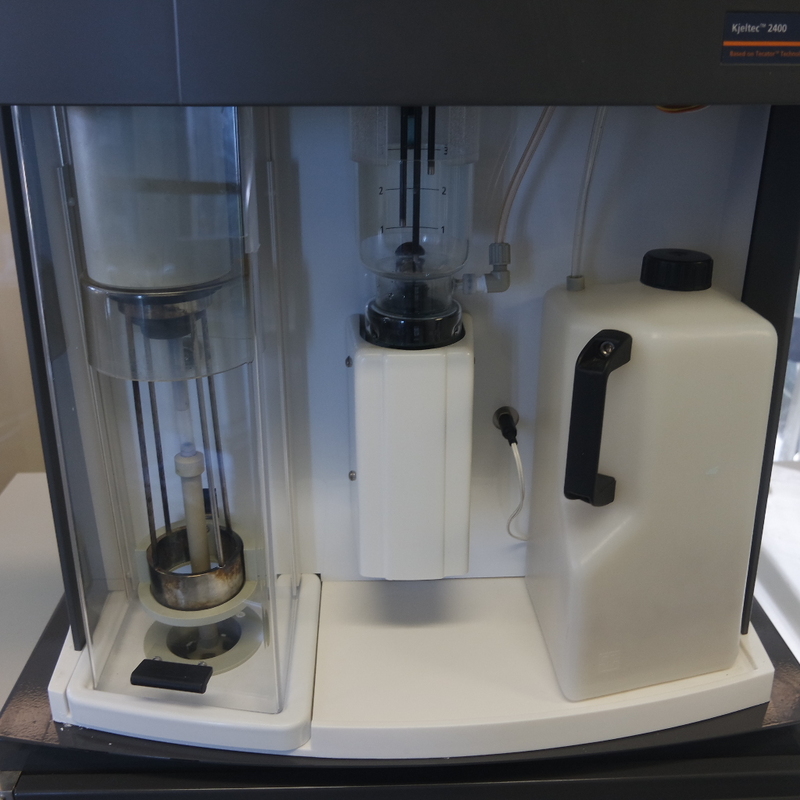 The Kjeltec 2400 gives a fully automated analysis of Kjeldahl nitrogen/protein and ammoniumnitrogen determination in samples. 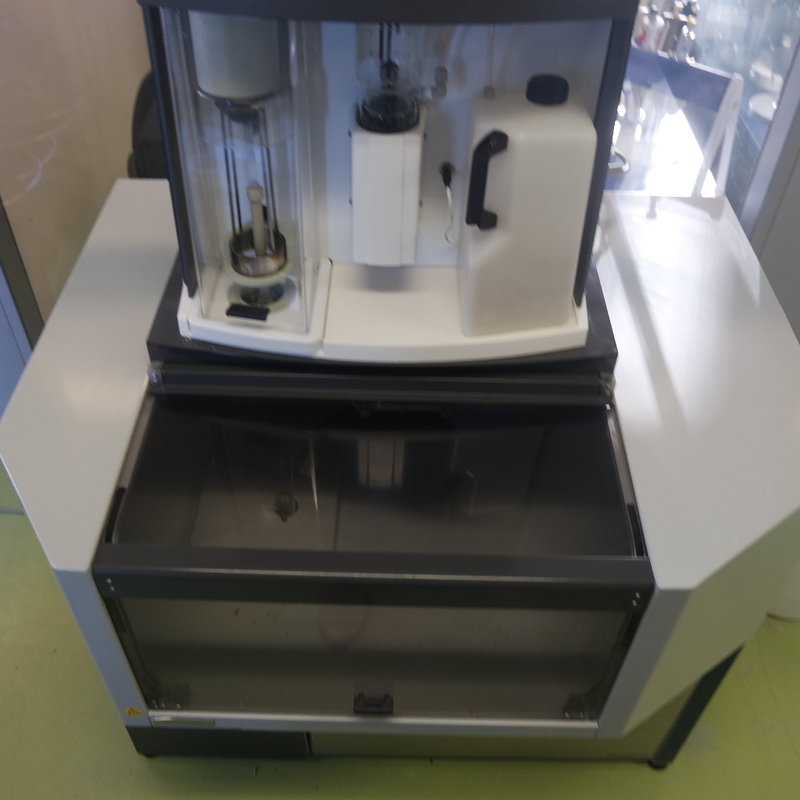 It originates from a biomedical laboratory in the Netherlands which had to close down.It was last serviced on 20 November 2017 and has not been used intensively after this period. Nevertheless, we first want to test and validate before it can be sold. If you are interested in this system please let us know and we’ll keep you informed. 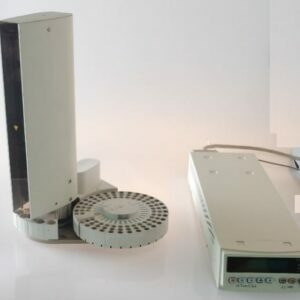 The Kjeltec™ 2400 Auto Analyzer Unit and the Kjeltec 2400 Sampler System are the ultimate solutions for automation in the routine Kjeldahl laboratory. 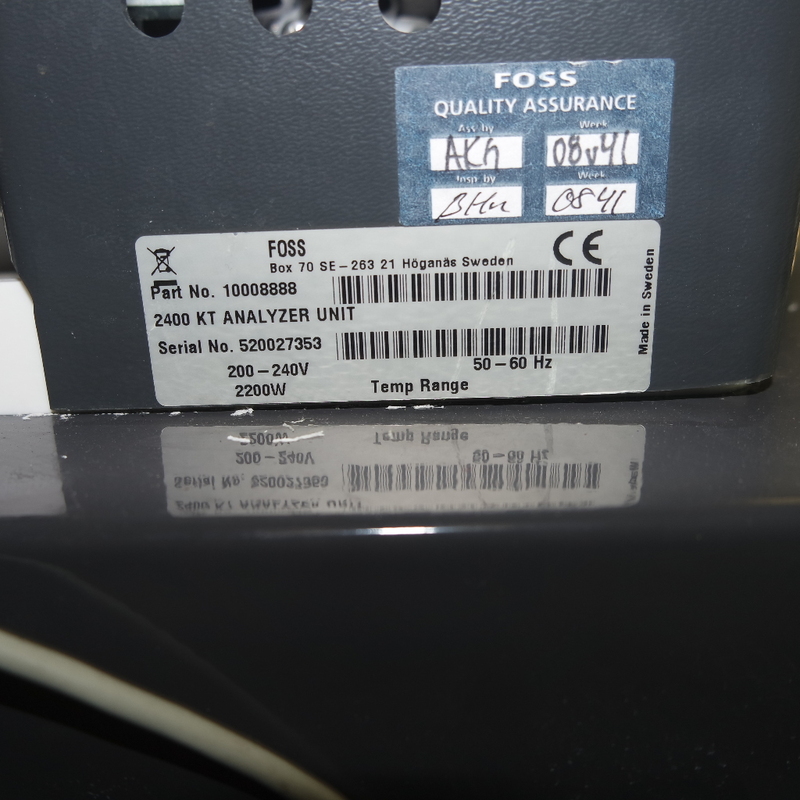 The analyser unit is dedicated to production of accurate results. GLP routines are supported by sample ID, LIMS/Balance connection, Recovery Test routines and complete documentation of all events during analysis. Accurate bellows pumps and a high-precision refillable burette give long term stability in reagent delivery. 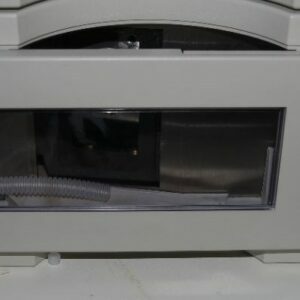 A distillate temperature sensor stops the unit if there is a risk of inaccurate results. 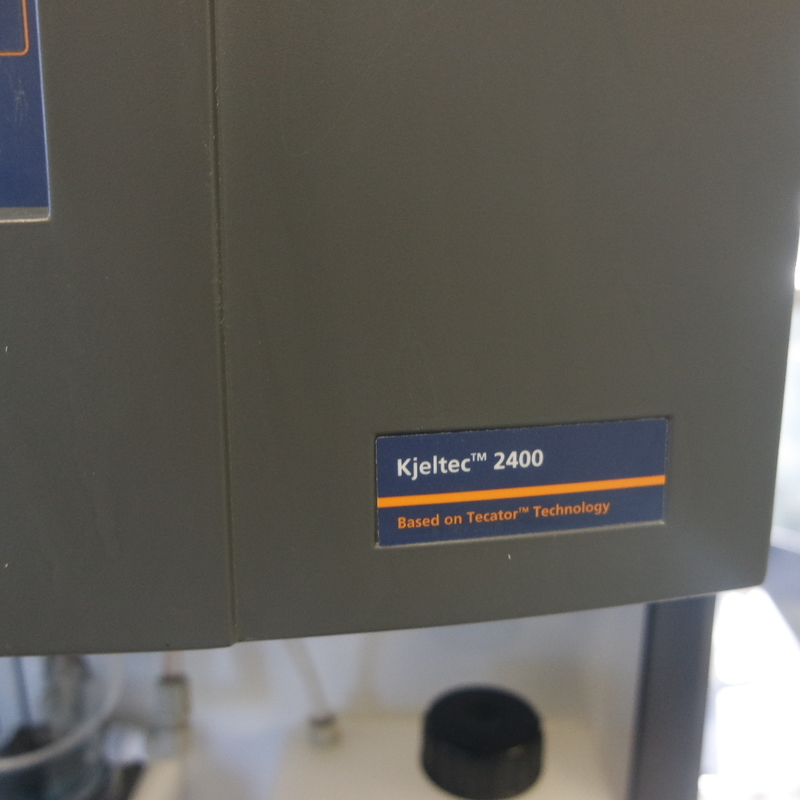 The Kjeltec 2400 sets new standards in safety for Kjeldahl analysis; sensors for tube in place, safety door, front hood, sampler door, reagent level, plus level and overpressure for the steam generator. The SAfE* technology reduces the exothermic reaction between alkali and acid. There is no need for manual predilution of samples. A fast tube draining system removes the need for handling hot reagents after distillation. The internal part of the sampler can be flushed with water for cleaning. Running costs are low through optimized applications. Downtime and service costs are minimized using selected components and a service mode in the software. Surfaces exposed to reagents are made of corrosion-free, chemicalresistant dyed plastic materials. Automatic distillation procedure, incl. sample dilution, alkali and receiver addition, distillation, titration, calculation, reporting and tube draining. Officially approved colorimetric titration system (AOAC, EPA, DIN, ISO etc) simplifies validation. Fully unattended analysis of 60 samples. Alarms for reagent availability to eliminate errors. Accurate dispensing of reagents improves precision. Active built-in safety systems for user protection. Steam Addition for Equilibration* (SAfE) feature for safe distilling of tubes with acid/salt cake contents. Alkali resistant plastic splash head/tube draining vessel for long life-time. Connection to LIMS and balance eliminates transcription errors. Software in English, French, Spanish, German, etc. Interchangeable burette for easy switching of titrant strengths. 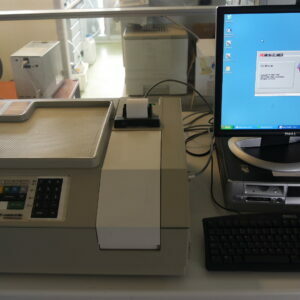 Weighing Terminal (option) eliminates sample registration errors and saves time. 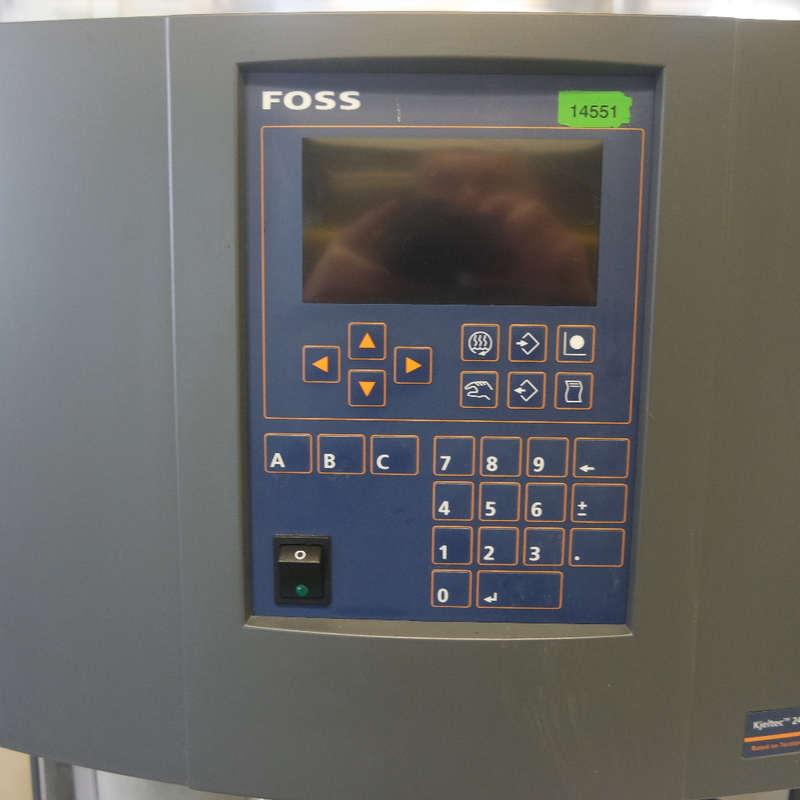 This used automated Kjeldahl analyzer, Foss tecator KjelTec 2400/2460 KT has recently been acquired. 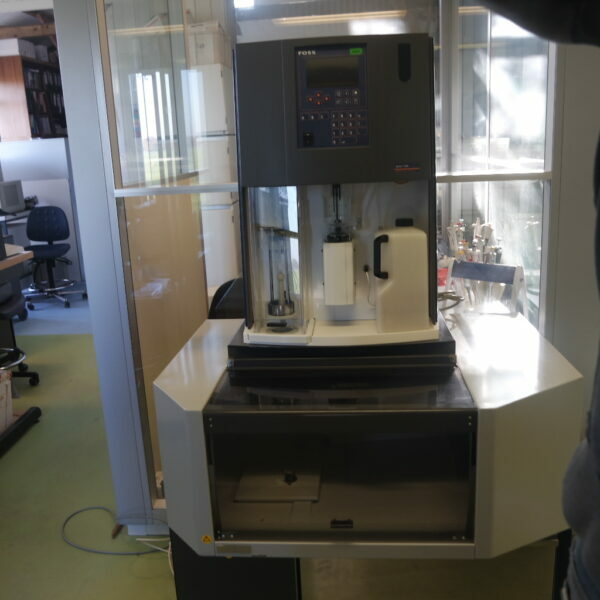 The Kjeltec 2400 gives a fully automated analysis of Kjeldahl nitrogen/protein and ammoniumnitrogen determination in samples. 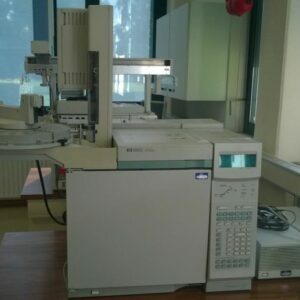 It originates from a biomedical laboratory in the Netherlands which had to close down.It was last serviced on 20 November 2017 and has not been used intensively after this period. Nevertheles; the instrument will be sold solely as spare parts. Reason is that we don’t have the software and can’t test the instrument. 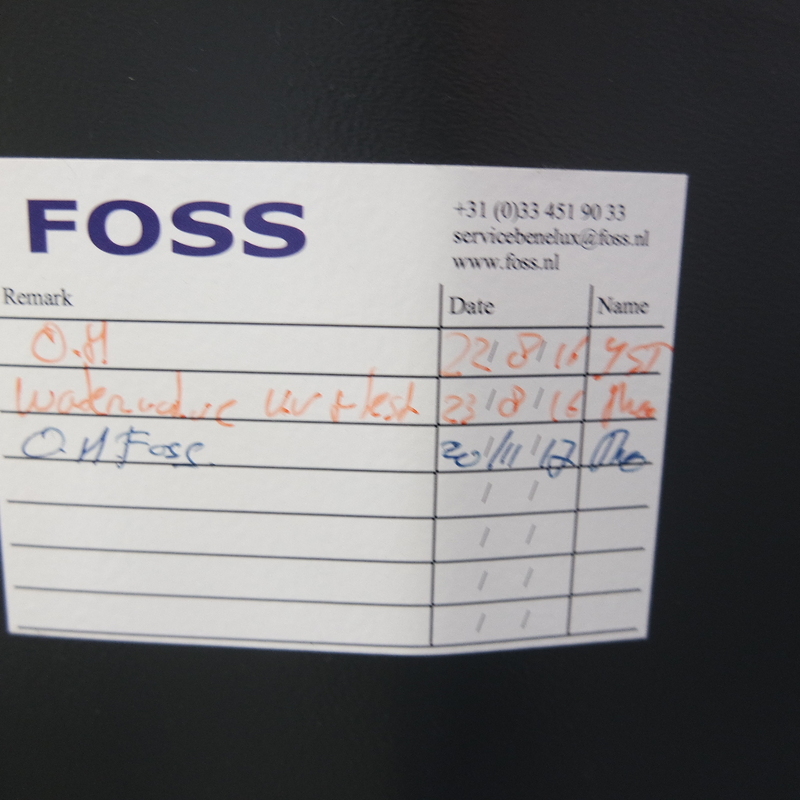 In addition Foss doesn’t service this instrument anymore which means it will be hard to find spare parts/maintenance.